The process of ageing, or 'relicing' a guitar needs skill, and patience, but the results can be stunning. Ask ten different experts how to age, or relic Stratocaster or a Les Paul and you'll get ten different answers. Each has their own techniques, their own tricks and special helpers in the form of fluids, waxes, and polishes, so that they get just the look they're after. We've linked to some great resources at the bottom of this story, but don't leave just yet. We have one or two tips of or own, courtesy of a terrific story about a relic project undertaken by Huw Price of Guitar & Bass magazine. 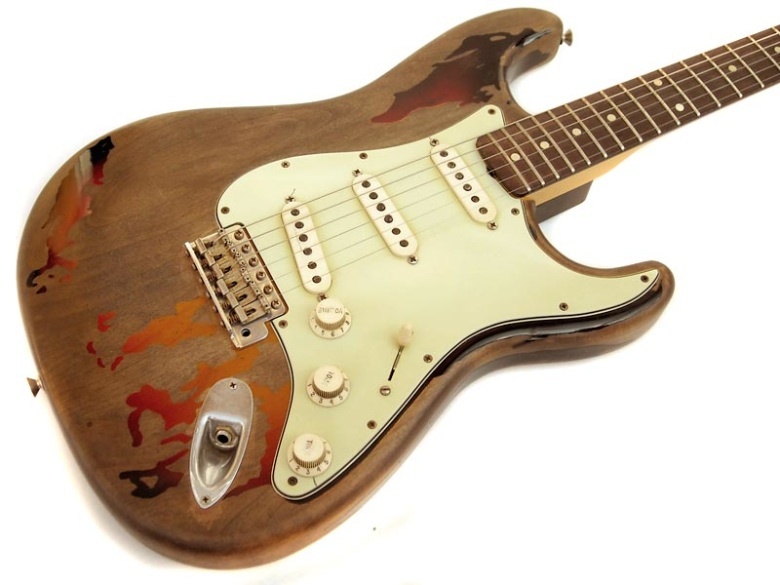 Price aged a Squier Strat he bought specifically for the purpose so that he could create his own version of Rory Gallagher's famous battered Strat. 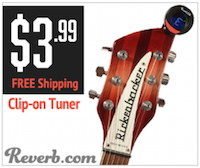 First of all, after removing the pickups and all the hardware, Price set about removing the polyester finish. To do that he used a 'heat gun, a scraper, and lots of patience.' He then sanded the body to make it smooth and as evenly coloured as he could. To get the original finish from Gallagher's 1961 Strat just right, Price mixed red, amber and blac nitrocellulose lacquer and used life-sized printouts of Gallagher's Strat as guides to mak sure all the wear marks and scratches were where they should be. It's the way that Price aged the Strat that shows just how intent he was on getting as close as possible to Gallagher's Strat. He used soot, because it has a high carbon content, and, by hand, applied it, working across the grain. After dusting off the excess, he melted a mixture of black shoe polish and Liberon Georgian Mahogany furniture polish and prushed it on. Several more layers of polish were applied using a superfine wire wool and after it was dry, Price buffed it with a clean cotton cloth. The result? A guitar that looked forty years older. A pickguard from Germany, tinged with green to make it look old, rusty screws, and vintage wound pickups with irregular pole pieces were the finishing touches for the body. The headstock had already been cut down to 60s specification, so Price aged it and added Sperzel machine heads. All the new metal work was made to look rusty using an electrolytic process. The whole guitar looks incredible, and cost Price only a few hundred dollars. That compares ver well with the $4000 you'd pay for the Fender Custom Shop version.